People make dreams a reality! As the year ends I am grateful to be able to share my reflections and highlights of the past year with you – my Scouting family. We have all been touched by the turbulent events of 2015. In the world, we have seen xenophobia, violence, terrible natural disasters and weather conditions that enhance the dire circumstances some of our members find themselves in. However, despite all of these events, our members have lived the spirit of Scouting and shown compassion, support, good citizenship and determination to help those in need and overcome these challenges. Despite the difficulties you have continued to smile and whistle as true Scouts and lived up to the essence of being a Messenger of Peace. You make me proud to call myself your Chief Scout. 2015 saw a contingent of 178 of our members attend the 23rd World Scout Jamboree in Japan. Not only did our members get to interact and learn from Scouts from all over the world, they were also given the opportunity to represent us at the Hiroshima Peace memorial ceremony. Internally, 2015 has also been a year of positive change, growth and development for us all. We have been working to redefine our Scouting regions in order to expand the impact of Scouting and to service our members more effectively. As of December 2015, we now have 10 Regions. We welcome the regional commissioners and regional team members who came on board this year and are excited to see what their energy and dynamism will bring to their regions and the larger Scouting community. We should not forget to thank those members who after the past year have decided to retire or step down from their roles, thereby making opportunities for new blood to come to the table. You have spent years of time and your personal resources sharing your expertise and experience and SCOUTS South Africa would not be where it is today without your contribution, nor would we have impacted the youth to the same positive extent that we have achieved. I have also seen many changes in our programmes. The new Pack Scouter’s Handbook has been put into place and I have seen Cubs rejoice whilst learning new skills. The new Scout programme is about to be piloted and I thank the Scout Groups that have stepped up and offered to test the programme for us. We look forward to the Rovers Handbook launch early in the new year, which is the result of the hard work of a number of individuals from the rover community. All of these programmes were developed through the efforts of a handful of volunteers, from both national and on the ground units, who have tried their best to adapt our adventurous, yet educational programmes, to the current societal needs of our country. This is vital for the Scouting Movement as we continuously need to address our societal impact. To remain relevant, we cannot lose sight of how best we can help our children, youth and adults be the best citizens they can be. While we may not all always agree with every proposal, the stated intention is to improve the educational outcomes for our members, and work to conserve the country and world we live in. We look to you, the scouters on the ground to hold us to that commitment and intention through your inputs. I am personally also very proud of the huge improvements we have achieved in the connectivity between groups, districts, regions and national. More open lines of communication are making it easier to share ideas, skills, stories and opinions. We know that that this trend needs to continue to grow in the years to come! In order to facilitate communication we have been working on branded regional websites for 9 of the10 regions who have opted to utilize this. Some have been finalized and handed over to the regions to manage. The others will be launched early 2016 once the regional teams are operational. Our marketing team have also created huge exposure for SSA this year through our ad campaign ‘Learn It Young, Remember It Forever’. With over 3 million views and minimal funds spent, we have set a precedent that many Scouting countries are now looking in to. The advertising and marketing world has taken note of the value of producing quality ad campaigns pro bono for the nonprofit sector, and we anticipate that this will be the start of further such collaboration in the future. 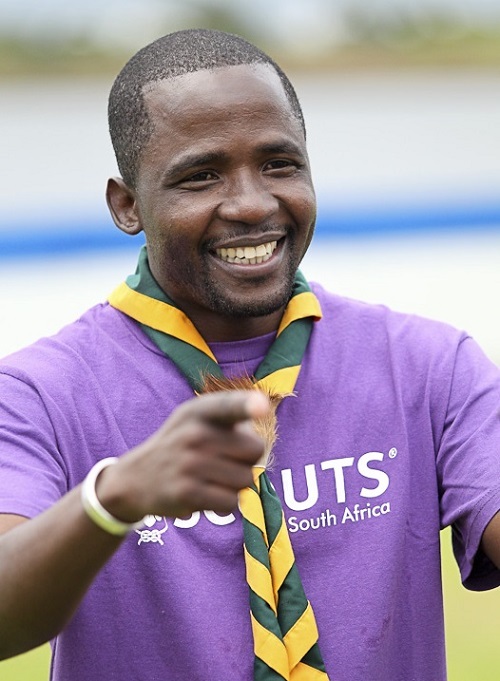 Walt Disney once said “you can dream, create, design and build the most wonderful idea in the world, but it requires people to make the dream reality.” This is certainly the case for SCOUTS South Africa. The reality is that Scouting does not happen without the time, commitment and support from our volunteers. 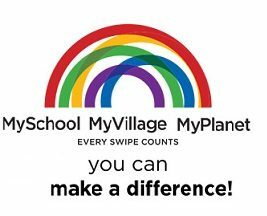 Whether you volunteer on a national, regional, district, group, troop or pack level, you are making such a big difference in the lives of others. I also want to acknowledge the role of the parents and guardians in our Movement who make time to bring their children to our meetings and events and who often also go over and above to support their Group in lay roles as they are able. My heartfelt thanks to you all. Finally, as we look ahead to 2016, I can’t help but be excited! 2016 marks 100 years of Cubbing, and SCOUTS South Africa will be celebrating this through a number of events and 100 Early Childhood Development community service projects. The aim of this project is to help 100 Early Childhood Development Centers through a community support project. This could range from a food garden to a new lick of paint which would make the world of difference in the lives of the children attending the ECD Centre. Look out for the announcement for these projects as we have been able to secure small grants that are available for Groups to fulfill these projects. The funds supporting this were raised when I ran the Cologne Marathon earlier this year in partnership with Nangu Thina and the Umckaloabo Foundation. Before we get going, I wish you on behalf of SCOUTS South Africa a relaxing Christmas and holiday with your families. Got your Cub T-shirt yet?